Fig. 4-1-3-1 shows the number of inmates imprisoned for the first time and reimprisoned inmates and the rate of reimprisoned inmates (refers to the percentage of reimprisoned inmates compared to all new inmates). 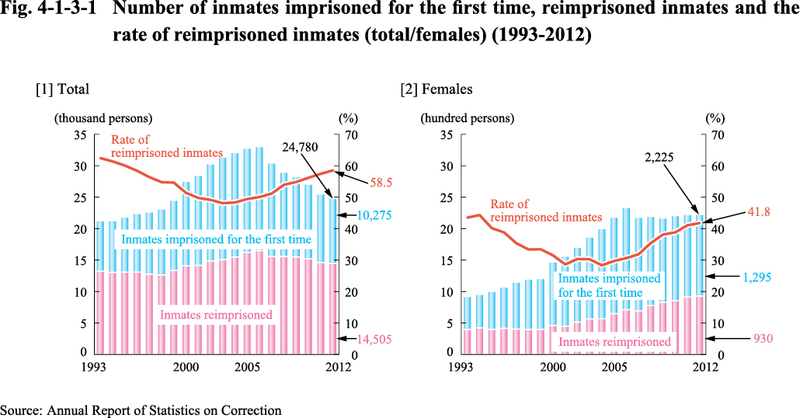 (See Appendix 2-8 for the number of new inmates by type of offense and history of imprisonment in 2012).